Downtown on the Go! 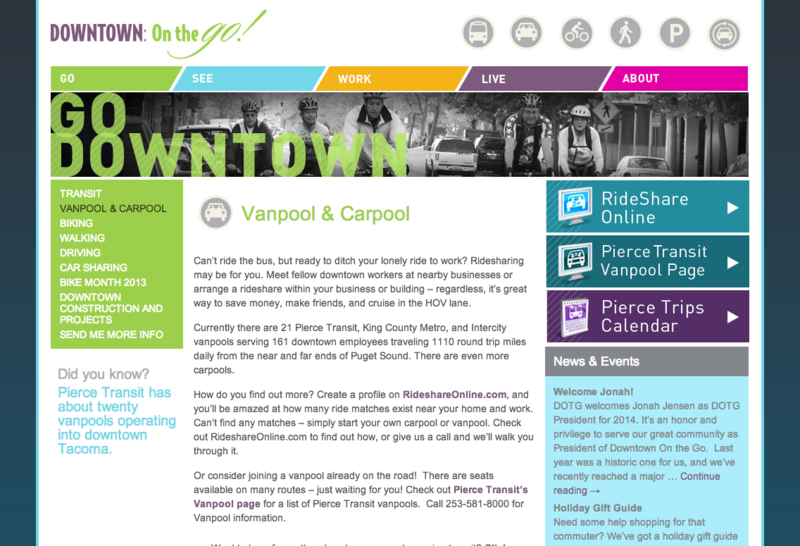 is a private/public partnership aimed at promoting alternative modes of transportation to downtown Tacoma. The goal of the project was to create a consumer friendly website that was very easy to add content in the future. We bid on this project with Rusty George Creative and implemented the website with their design. The result was a very dynamic website with lots of blog type sections. 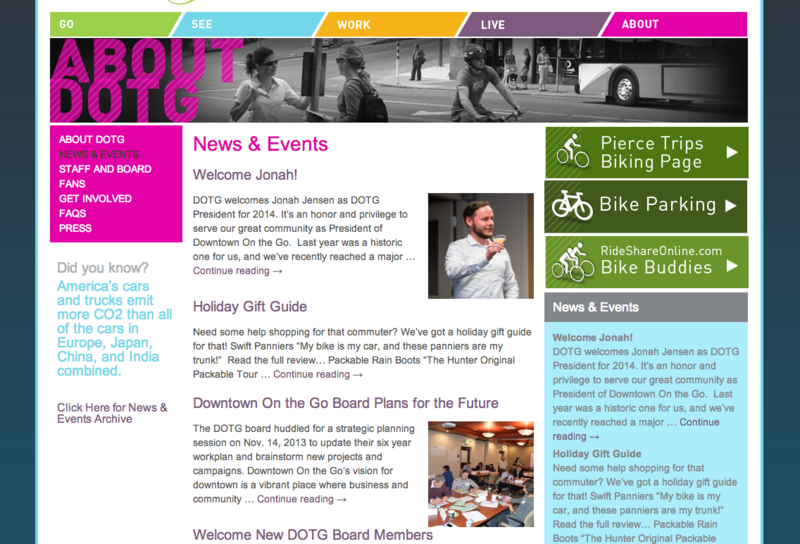 Each section integrates seamlessly into the design of the website and into the site’s RSS feed. 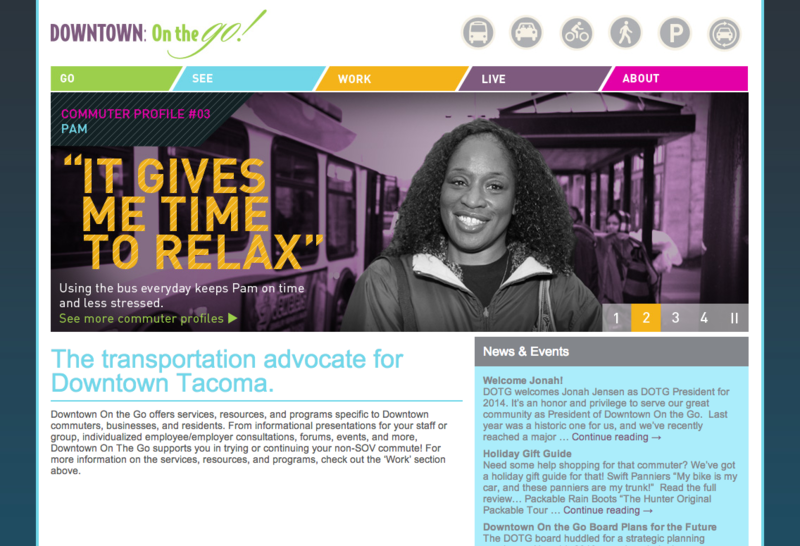 An example section can be seen on the commuter profiles page. When the site launched this page only had a couple profiles. Now there are over 10. The commuter profile section is setup so that all the site administrator needs to do is add a new post and attach a featured image. The page automatically gets updates with excerpt text, thumbnail photo and a link to view details. Functionality like this takes the effort and intimidation out of adding content.